Charitable remainder trusts can be established with gifts of cash, securities, or real estate. The trusts will provide payments to you and/or your beneficiaries for a lifetime or for a specific term. Unitrust payments vary depending on investment performance. Annuity trusts provide fixed payments determined when the gift is established. For both, the remainder becomes a gift to Princeton. Charitable gift annuities can also be created from gifts of cash or securities. The University recently lowered the age to 55 for creating a gift this way, with a minimum age of 65 to begin receiving payments. The payment amount is guaranteed, and the remaining portion is a gift to Princeton. Life income gifts allow you to make a gift to Princeton and create an income stream for yourself and/or a loved one. Here are at-a-glance rates for two types of life income gifts to Princeton. Use our online calculator or call 609.258.6318. This entry was posted on October 27, 2017 by Susan Fou in FALL 2017. 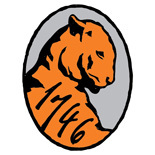 Please let us know if you'd like to become a member of the 1746 Society or receive information on making a planned gift or bequest to Princeton. Princeton Generations is produced by the Princeton University Office of Development Communications. The information presented in this publication is not intended as legal or financial advice. Please consult your own professional advisors to discuss your specific situation.